First and foremost, we would like to sincerely thank each and every one of you for your support over the past few months. The entire Free Fire team believes that without each and every one of you, it would have been much harder for us to persevere on the continued development of this project over the past half a year. 2017 has been a brilliant run and as we step into a new year with brighter possibilities, we would like to use this opportunity to write to you the results that we as a community have achieved together. Over the last 2 months, Free Fire – Battlegrounds, has enjoyed success as a brand new survival battlegrounds mobile game. As of 14 January 2018, Free Fire has become the number 1 mobile game in 22 countries, and is among the top 5 mobile games in more than 50 countries, either on the iOS App Store or on the Google Play Store. We are truly humbled to have the support of so many fans from all over the world. The distinguishing features of Free Fire are its fast game pace; intuitive controls and smooth graphics optimized for most devices, making it one of the best survival mobile games out there. We will keep these as the core pillars that define our game. Initiated by a small game development team at Garena, Free Fire gradually evolved to meet the high standards of Garena games with your unwavering support. 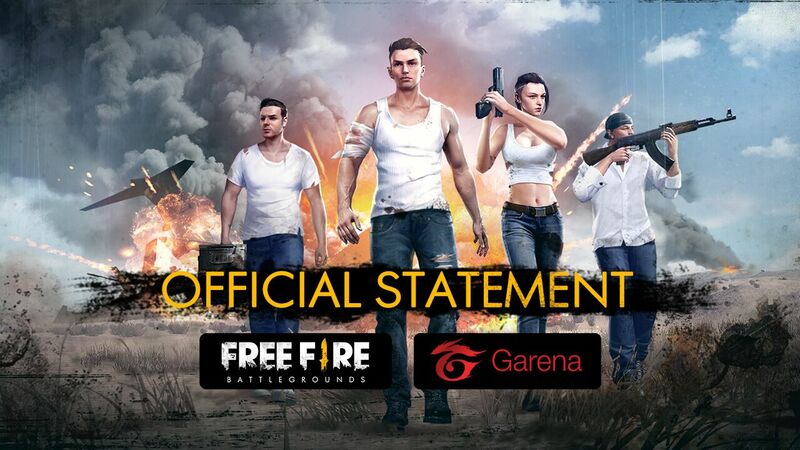 Today, we are proud to announce that Free Fire is officially published under the Garena brand. As part of the Free Fire community, what does this mean for you? You can expect a higher level of service and commitment to you from the strong support of the entire Garena team. The core guiding principles behind the development and operation of Free Fire are deeply etched into each and every member of the Free Fire team, and these principles will continue to guide the Free Fire team going forward, as we continue to improve and innovate on the game. These past few months have been an exciting journey for all of us at Free Fire, and we are truly touched by the support from everyone. We sincerely hope that you will continue to support us, as we continue to make the game more fun and engaging for the entire Free Fire community.